PCs for People provides free pick up and recycling* of electronic waste from businesses, and educational and governmental organizations. PCs for People has both NAID AAA and R2 certifications, meaning your data is protected through strict adherence to the highest standards of information destruction, hardware sanitization and asset tag removal, and all recycling is environmentally responsible. Since PCs for People accepts nearly all electronic waste - including computers, peripherals, monitors, cables, drives, and more - you need just one company. Whether your company or organization wants to save money or time, is environmentally conscience, or emphasizes corporate citizenship and community involvement, PCs for People is the best partner to pick up and process your old computers, accessories and other end-of-life electronics. PCs for People simplifies corporate electronic waste disposal which saves you and your organization money. 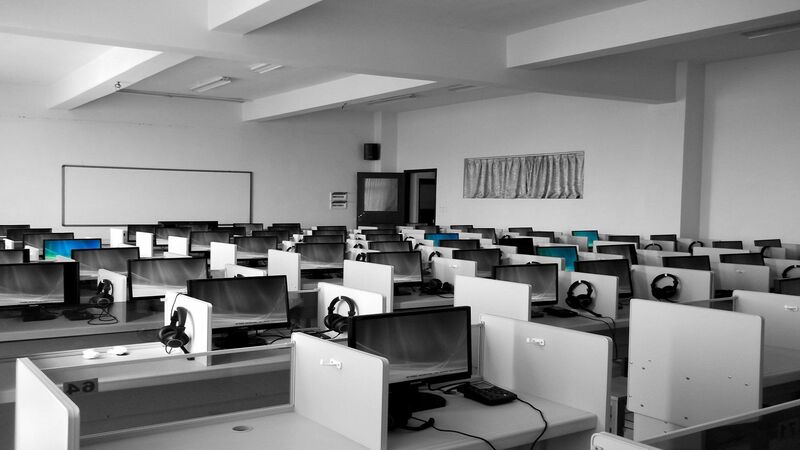 First, PCs for People provides free pickup and free processing of computers, computer accessories and many other electronics, which will save your company or organization hundreds, even thousands of dollars a year. Second, you’ll only need to contact one electronics recycler because PCs for People accepts such a wide variety of E-waste. Third, PCs for People’s services include guaranteed secure NAID AAA-certified data wiping or destruction, virtually eliminating the chance of an expensive data breech. We follow Department of Defense and National Institute of Standards and Technology guidelines, so your data will not only be deleted, but will be unrecoverable. Finally, PCs for People is a 501(c)(3) nonprofit, meaning you may be able to take a tax deduction for the value of the electronic waste you give us. You have a business or organization to run so PCs for People arranges pickups to fit your schedule. Whenever possible, we will make a pickup within a day or two of your request. If your company is a big producer of electronic waste or is in the midst of a major equipment refresh, PCs for People can arrange regularly scheduled pickup trips.  PCs for People accepts all manner of e-waste, so we are a single resource for our partners, ensuring a seamless and easy experience. Whenever possible, PCs for People refurbishes computers and accessories for distribution to low-income families and individuals. Refurbishing equipment is many times more efficient than recycling the same gear. PCs for People’s takes environmental stewardship very seriously, which is why we are proud to have the coveted R2 Responsible Recycling certification. 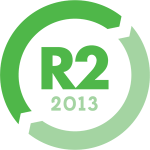 R2 certification guarantees that every component, every cable; every plastic part that isn’t reused is recycled in an environmentally responsible way in United States. Decommissioned computers and other E-waste contain many valuable materials. Aluminum, copper, gold, silver, ferrous metals and plastics are a few of the prized substances that are reclaimed through electronic waste recycling, which saves energy, reduces pollution, and conserves natural resources. Environmentally proper E-waste recycling also keeps toxic chemicals and elements like mercury, lead, cadmium, chromium and flame retardants from poisoning people and animals or leaching into soil and ground water. By choosing PCs for People to collect and process your end-of-life electronics, you are actively supporting environmental protections. The primary mission of PCs for People is to get affordable computers and Internet access into the hands of low-income families and individuals. A home computer and Internet access are a necessity today. Homework, research, college and job applications require these tools. Studies show that having a computer and the Internet in the home leads to higher graduation rates, long-term employment and a higher standard of living. Your equipment makes this all a reality for our customers.